On Your Family This Fall? In Your Family Will Be Infected Is Greater Than 70 Percent. Use The Resource On This Page To Cut Through The Confusion And Achieve Expert Level Understanding Of The Current Swine Flu Pandemic In Less Than One Hour. With Swine Flu Vaccine Currently In VERY Short Supply Your Knowledge About This Virus May Be The Deciding Factor In Whether Or Not You Or Family Members Succumb To Infection Within The Next Few Weeks. If you are wondering where my assertion comes from that someone within your immediate family will begin exhibiting swine flu symptoms before the pandemic has run its course, with a likelihood greater than 70 percent, it is based on the fact that this pandemic will eventually infect more than 2 billion people. From that number you can easily figure out the likelihood that a three-member family will escape infection (it is 3 chances in 10). I will not bore you with the calculation. Because I have a Ph.D. in physics you can assume that I can do back of the envelope calculations without excessive difficulty. Some families will be able to reduce that likelihood of infection significantly by getting themselves inoculated before swine flu reaches their front door. Unfortunately, for most families, they will not be given that chance. You will learn why later in this page. Now, if you are less than 41 years of age you will have never experienced a pandemic, so you can be forgiven for being skeptical about the need to prepare. This may explain why virtually nobody has taken this pandemic seriously to date. No one has prepared themselves, no one has a clue what they would do if swine flu mutated tomorrow and began hospitalizing people in huge numbers. It is a curious phenomenon of human nature, but people simply refuse to acknowledge risk until it is too late to act to protect themselves against it. You see this in the period leading up to someone's first earthquake, or hurricane - the threat just does not seem all that dreadful until the moment they find themselves caught in one, at which point they find that their thinking changes dramatically. Trust me, this is not something you want to happen to you. What does this graph show? Simply that the number of swine flu infections (the orange bars) has NOT been damped out during the summer months of 2009 as happens with most influenza viruses (like the seasonal strains shown by the blue and green bars). No, the new strain has marched on regardless, and will continue to do so. Expectations are that the fall and winter seasons of 2009-2010 will see a MASSIVE UPSWING in the number of H1N1 swine flu infections. 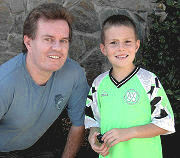 In fact it seems to have begun as of mid September 2009. The image below shows the percentage of doctor's visits for influenza-like symptoms. The red line shows the numbers for 2009, and the very early arrival of flu season (like nearly 5 months early). This is why you only have a very short time to prepare, which you still can do if you act right now. If you leave this for a couple of weeks you can expect to be in panic mode as you discover all flu prevention products have been cleared from the shelves of stores across the nation. Note: The beginning of September 2009 is marked by week 35 in this graph. The bumps around week 7 (end of February) mark the arrival of seasonal flu. 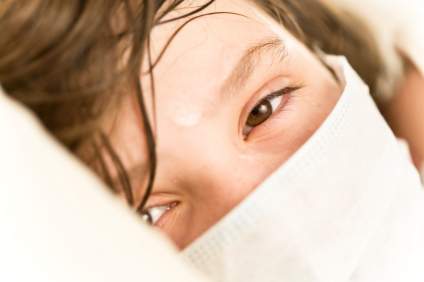 The explosion of flu cases in September is attributed to the gathering momentum of swine flu now that school is back in session and children (the primary vectors of flu) begin moving the virus through communities. If You Think You Might Be Confused About Swine Flu, You Are Absolutely Right! The only people who are not confused about whether Swine Flu represents a real public health threat are the experts - people who have studied the influenza virus for years. Pretty much everyone else is depending on the media for their information. The trouble with this is that most journalists rely on a crash course in virology to get them up to speed on the nature of the threat. This is why you find such diverging points of view in news stories and editorials about swine flu. No wonder you are confused - you are being fed inconsistent information, much of it wanting in credibility and scientific value. In contrast, if you were to interview all the main influenza experts you would come away with one very simple conclusion: these guys have been holding their breath for years, waiting to see whether the next pandemic will turn out to be the big one. They do not think it is a matter of IF, but WHEN. The question on their minds today: Could swine flu yet initiate a viral wildfire that we are far from prepared to deal with? I suspect that for most people their concern about swine flu peaked the day that the World Health Organization raised their warning level all the way up to level 6 and declared that they were at "full pandemic status". Since then most people seem to have taken the point of view that because the world has not melted or anything, we might as well all go back to business as usual, especially seeing how swine flu is about as harmful as a drink of water. The trouble is, looks can be deceiving when it comes to strains of flu. The last time we saw a flu strain like this novel H1N1 strain begin spreading around the world, it ended with the deaths of about 100 million people. It did not happen that long ago either. 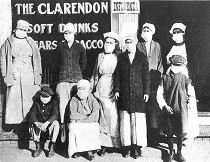 It was 1918, less than a century ago, when an H1N1 strain came out of nowhere during spring time, then vanished a month or two later without causing much of a problem. But then it came back in the fall. This time it was completely changed, and that dopey virus that caused little loss of sleep in the early part of the year was suddenly dropping people in their tracks. Those that turned blue did not last very long, and in most cities around the world they quickly ran out of coffins and had to stack corpses in makeshift piles and bury them in mass graves. Well, I could go on about the obvious parallels between the strain that emerged in 1918 and the one we are dealing with in 2009. But really, I would only be scratching the surface of a very involved story that actually goes back to Abraham Lincoln and something he did during the Civil War. Something which guaranteed that even if nature acting on its own does not come up with a twin version of that 1918 strain, we may yet get to experience it again anyway. This is just one of the surprising things you will discover in Survive Pandemic Flu, and I can guarantee you that those "idiot" WHO officials that we all laughed at earlier when they raised the alarm and then nothing bad seemed to happen, well, they aren't quite the idiots that they were made out to be. Not by a long shot. When most people think about the prospect of a severe pandemic visiting their neck of the woods, it is the fear of becoming infected that scares them. In the case of a flu strain that kills as efficiently as the one that circled the world in 1918, the prospect is hardly a comforting one. In the case of blue collar workers it is believed that in some U.S. communities the mortality rate for those infected was as high as 10 percent. In more epidemiologically isolated communities, like the Inuit Eskimo tribes of Alaska, the mortality rate reached 90 percent and virtually wiped those communities off the map. 50 million lives in 1918-1919. Less widely appreciated is that a pandemic need not even reach your door in order to be able to kill you or a family member. During a severe pandemic you could literally starve to death while never having come in close contact with the virus. This is just one of the startling conclusions I reach in Survive Pandemic Flu, which will have you rethinking just how much you really understand about your own place in the world. Because it turns out that we are a lot more delicately positioned than we like to believe. Here is what I am talking about. Get up from your chair and head to the kitchen and make a quick inventory of the amount of food you have. How long would it last you if you discovered tomorrow that the shelves would be empty in the stores where you shop? Most retailers today work on a "just in time" model - they stock just enough product to keep the shelves full for a few days, and restock just as frequently as new shipments come in. Nobody stores in quantity any more because their margins are too thin to accommodate the extra expense. So any disruption to the fulfillment line means rapid onset of delivery problems, to stores, to customers, to you and your family. In the event of a national crisis that should knock out truck drivers - and this could simply be due to fear that once they get in their trucks and embark on a long haul they will not be available if a family member falls gravely ill during a pandemic - the panic sweeping of inventory by consumers could easily clear store shelves in as little as 24 hours, leaving whatever you have in your cupboards as the only food and water you may be able to get your hands on for weeks. As I mentioned above, a virus that causes a severe pandemic does not need to reach your door in order for it to claim your life or the life of a family member. It only has to spread fear to get the job done. This is just one of the startling conclusions you will reach yourself once you have read Survive Pandemic Flu. If I was to ask you how lethal the current swine flu strain is, you would probably say "not very?" and hope that things are going to stay that way. Well, me too. But I have also been looking at this thing more closely, and the number I come up with for the mortality rate so far is about 3 in every 10,000 new infections. At least, that's how swine flu has been behaving up until mid 2009. Of course, things can always change overnight, and that is why we have several major vaccine companies racing to get a vaccine into the hands of the public before it is truly needed. But that mortality rate is surprisingly low. Especially when you consider that the last time an H1N1 swine flu virus began spreading unchecked in the human population it eventually morphed into a killer that was capable of killing roughly 500 of every 10,000 people newly infected. In some small and socially remote communities the mortality rate reached a level equivalent to a stunning 9,000 of every 10,000 new infections. This makes the current swine flu virus with its 3 in 10,000 seem like small potatoes indeed. But it is important to note that the 1918 strain started out as small potatoes too, and took six months or so to ramp up the numbers. No one knows if that might happen again, but nobody who understands the highly mutating nature of influenza A is prepared to rule out the possibility either. The amazing thing you will learn while reading Survive Pandemic Flu, is that even if the current swine flu strain never manages to become more deadly than it is right now, we could still see a repeat of the 1918 episode from none other than the original virus itself. How is that possible, you ask? It turns out that through an amazing chain of events starting with Abraham Lincoln, who issued a proclamation to study diseases on the battlefield during the Civil War, and ending with a molecular biologist who was able to string the virus back together in 2005 after it had been dead for nearly nine decades, the monster strain is alive and well and ready to wreak havoc again the moment somebody in the lab gets sloppy with their safety protocols. So do not let the slowness with which the new swine flu strain is becoming more threatening lull you into complacency about pandemic influenza. There is now something in the lab that ought to be keeping us all awake at night. Of course, you will be getting the full story in Survive Pandemic Flu. Nobody enjoys going to get a flu shot, but we do expect that if we want one, getting in line for it should simply be a matter of showing up for the event. But what if that was not the case? What if you discovered that you were actually turned away from an inoculation center because you did not fit a predefined "profile" for who is eligible to receive a shot? Ironically, in a year in which a pandemic strain is circling the globe, this is a very real possibility. 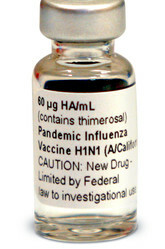 Right now we know for certain that swine flu vaccines will be in short supply until sometime in 2010. That means not everyone can be vaccinated against the new pandemic virus. In fact, vaccine manufacturers let it be known in mid August that instead of the initial 120 million doses of swine flu vaccine that they had projected would be made available for distribution to the U.S. population, only 45 million doses were likely to materialize. But even that announcement turned out to be wildly optimistic and only about 20 million doses had materialized by late October 2009. Not only is this not great news, we still do not know for certain that the new vaccine will offer significant protection (though early indications are that it will). So the availability and efficacy of swine flu vaccine is still very much up in the air. Right now this is not a huge concern, because the virus has not claimed a large number of lives. In fact, it has so far caused not much more misery than the seasonal flu, which claims up to a half million lives across the globe every year. But that could change quickly, and if the new swine flu strain suddenly proves to be significantly more lethal than it has been to date, people will want to be vaccinated, and finding themselves denied the shot could be very worrisome. So who *will* be allowed to get the shot when it first becomes available? First responders to emergencies need to remain healthy, as do doctors and other health workers who will take care of the sick. Members of the military are also likely to go into the line, as are children, who have shown a higher tendency to fall sick, pregnant women, and anyone with cardiac problems, high blood pressure, or other underlying health problems that can cause a lowered immune response. If you are otherwise healthy, and you are an adult, then you will likely have to go to the back of the line and wait until early 2010 before you can be vaccinated. Given that the U.S. has been able to get its hands on only 20 million doses of the new vaccine as of late October, only about one fifth of the population of the United States, or less, will be able to be vaccinated during the first round. But if you are NOT one of the lucky first to be vaccinated, and the virus does turn significantly worse, all is not lost. There are still antiviral drugs that can be administered to break an infection that has got started in your body. Of course, the swine flu vaccine and your antiviral options are completely covered in Survive Pandemic Flu, which was written in response to the emergence of the new pandemic. The book goes into great detail about pandemic influenza, and what you can do to protect both yourself and your family from the threat. I will certainly be getting the swine flu shot if it is offered to me this fall. But not everyone is as sure about this as I am. A great many people actually think that swine flu vaccines are dangerous because of an incident that took place about 30 years ago. In fact, it has been reported that from a third to as much as half of the parental population of the United States say that neither they nor their children will take the swine flu vaccine if it is offered to them. This is a rather shocking statistic, but it is the reality of the situation. The outcome of this decision by the anti-vaccine component of our society is clear - this virus will be getting a huge assist from them in its quest to infect every susceptible host it can find. So why exactly has this happened? Well, back in 1976 a decision was made to undertake a massive swine flu inoculation program in the United States. It seemed like a good idea at the time, but two things happened to throw mass vaccination programs into a bad light. For one thing, the anticipated swine flu pandemic never arose. The other problem - which proved to be far more serious - was that (it appears) contaminated vaccine triggered a severe neurological problem in several hundred people who got the shot. This side effect was rare - about 1 case in every 100,000 inoculations. But because the pandemic never got started, there was no benefit to having taken the vaccine, so the side effects completely dominated column space in the newspapers of the day. The 1976 swine flu vaccine got a LOT of bad press. To this day you cannot mention the topic of "swine flu vaccine" on the web without people jumping in with all sorts of conspiracy theories relating to vaccine companies and their intent to blanket the world with unsafe swine flu shots that will cause far more misery than good. In Survive Pandemic Flu I do a little risk management which shows that if we assume that the current swine flu virus remains mild, and causes no more than 3 deaths in every 10,000 infections, and if the risk of a vaccine side effect today is as high as it was 30 years ago (very unlikely), then the likelihood of dying from a swine flu infection is still about 10 times greater than dying from a side effect due to a bad vaccine. To be honest, I was surprised that the number is only 10, but this is a worse-case scenario, and if today's vaccines are actually safer than the contaminated 1976 vaccines, then the number might be as much as 100. Then there is the possibility of a more deadly strain of swine flu arising. If that happens, the number swells again. The bottom line: Statistically speaking, you are SIGNIFICANTLY better off getting vaccinated against swine flu. If you want the full details, you will find them in Survive Pandemic Flu. The truth is that nobody really knows whether swine flu will worsen in the coming months. But we do know that the influenza virus is very unpredictable, and that we are only at the very beginning of the pandemic, so the virus will not have had every chance to mutate and grow more virulent (deadly) until it has infected most of the people who will eventually come down with it. What this means is that not until sometime in 2010 will we know exactly how this pandemic is going to play out. So we have quite a way to go. Because governments around the world recognize this, they are committing themselves to swine flu vaccine development, and they are prepared to invest a great deal of money to hedge their bets against the emergence of a far more aggressive virus. The U.S. is preparing to spend up to $8.5 billion to protect its population. Other countries are making similar investments. At a time of global economic crisis, this huge financial commitment by nations demonstrates that this pandemic threat is far more than hypothetical. Advisors to governments are urging their leaders to prepare for the unexpected - and so should you, just in case swine flu deaths become a regular topic of the nightly news. "We do not know exactly how the virus will present during the fall flu season, but our surveillance efforts have led scientists to believe the impact of the virus could worsen this fall or earlier." "Advanced preparedness is critical and individual preparedness and a culture of self sufficiency are essential. No one can afford to wait until after an emergency begins in order to prepare." Because the book is so new I do not have many testimonials to present, but here are a few. If you enjoy the book and want to share your thoughts with others, by all means send me something and I'll try to add it to my page. I found Stephen Carter's book, "Surviving Pandemic Flu" to be absolutely fascinating. In fact, I read it in one sitting. It is extremely interesting, exceptionally well written, and very well researched. The book is a "Must Read" for anyone that at all cares about themselves, their family, and friends. Carter's book reveals the political, scientific, and economic concerns that have always, and will always, keep effective treatment from the vast majority of the population. It was an eye-opener for me and has given me a much better understanding of where we stand globally with pandemic viruses. I now know what to watch for, how to prepare for, and how to safeguard myself and my family from the inevitable, soon-coming pandemic. Highly recommended reading. When I first came to Stephens's book I confess I was rather skeptical. I was of the belief that flu is a self limiting infection which is only ever serious in the immunocompromised. I also thought that pandemics of the past were very much a consequence of poor living conditions. I now know that while this may be true for seasonal flu the possibility of a virulent strain developing is a real threat. This book outlines in great detail the biology of the influenza viruses. It also places the disease in historical context and deals not only with medical issues but with important social and economic concerns. Treatment and prevention options are outlined and plenty of additional resource information is made available. Stephen argues convincingly that pandemic flu is a very real threat to us. His book is very readable and packed with information and practical advice. It brings together in one publication all the concerns surrounding this disease. While we may not be able to stop a pandemic, being better informed will at least help us to cope more effectively. As a fiancee, father of three girls, and son to my elderly mother, the threat of swine flu had me concerned. But I was scratching my head on what I should do about it because there have been so many conflicting instructions in the news, you end up doing nothing. Stephens book "Survive Pandemic Flu" lays it all out by providing a reality check on what to expect if and when this flu breaks and exactly what to do about it right down to an Action Plan. Knowledge is the first line of defense and this book provides it in a way I can understand. I highly recommend getting it now, as the time to know what to do about this potential disaster is now, not when the public becomes panicked over a huge outbreak. I was skeptical of all the hype surrounding 'bird flu' and 'swine flu' - and thought it was just another tactic used by the big pharmaceutical companies to sell more vaccines and anti-viral drugs (not to mention great scare-fare for the cable news networks). But after reading Stephen Carter's excellent book on the subject, I no longer feel that way. 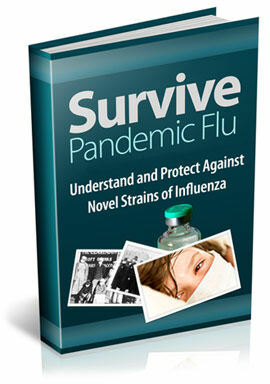 Survive Pandemic Flu is a book that could quite simply save your life - and the lives of your loved ones. With so much misconception on the subject, and mis-information being circulated, this book is a "must read" for anyone who wants true inside knowledge of how the great pandemics in history came about and what you can do to protect yourself against the next one. In a clear, concise, and easy to read format, Stephen lays out exactly what you'll need and how you'll need to respond when the next big one hits. Don't get caught off guard. Read this book today. That way you will be one of the few who are ready for the worst, and have the best chance at survival. Personally, I find it very frustrating when authors will only hint at what you will discover inside their book. I do not want to play that game with you. I think this subject matter is of extreme importance, and I want to show you that I am serious about providing you with just the sort of information that you need to know - about this pandemic, about how to prepare for it, and about how to respond to infection in the event that it reaches your home when the number of swine flu cases in your neighborhood quickly escalates. The book runs to about 170 pages and covers all of the basic facets of this subject. So here it is. In the box below, you will find the complete table of contents for Survive Pandemic Flu: Understand and Protect Against Novel Strains Of Influenza. This is all new material written in 2009 in response to the emerging swine flu pandemic. What Happened With The Swine Flu Vaccine In 1976? What About Adjuvants In The Vaccine? Why Do Strains Become Resistant? Do Face Masks Confer Any Benefit? Time To Take Fresh Meat Off The Menu? Stockpiling Food And Water Supplies - For How Long? Can You Afford Not To Read This Book? If you are thinking you have a fairly good understanding of what is going on with the swine flu situation right now I can guarantee that this is not the case. This story is so complex that no one understands the full ramifications of the current pandemic. Influenza is an illness that we tend to take for granted, until it strikes us hard during those times in our lives that we are not bodily prepared to properly defend against it. When that happens you experience a miserable couple of weeks during which you feel like death is not the far off event you normally consider it to be. Even if you have been lucky during the past decade or so and you have escaped infection from seasonal flu (I have done well for the last eight years) the likelihood that you will be infected in the 2009 - 2010 period is higher than it has been in more than forty years. On top of this, with swine flu vaccine being in severe short supply, the 2009 fall flu season is showing every sign that it will kick off the worst flu season in more than forty years. Are you fully prepared for it? 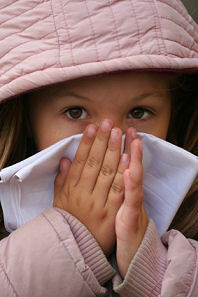 Can you honestly say that you have done everything in your power to protect your family against H1N1? I wrote Survive Pandemic Flu to increase the odds that you and your family will be able to escape infection by fielding a heightened awareness of what exactly it is that you are dealing with and how you can reduce the likelihood that swine flu will make its way to your front door. I hope you will take advantage of those efforts because I am fully confident that your family will benefit from you having done so. Think about it this way, if someone in your family falls ill shortly the economic cost to you alone will be in the hundreds of dollars, if not thousands (just think about time you need to take off work and projects that are delayed because of the lost time). This is not to mention the mental and physical cost that accompanies infection when a pandemic infiltrates your home. YES, Stephen. I'm ready to learn what the driving factors are behind pandemic influenza, and how the new swine flu strain fits into the overall picture. I'll also learn what I need to do now in terms of preparation to minimize the risk of swine flu to my family, and I will get information on treatment for flu sufferers. P.S. - Do not make the mistake of thinking that "I can leave this matter to another day, when I have the time to get around to it." Like millions of others across the world, events may simply overtake you. If you want to maximize your chances of successfully protecting your loved ones, you need to prepare immediately for the current pandemic - and any future pandemic - ahead of the day when your knowledge of this subject may play a critical role in your family's continued well-being. 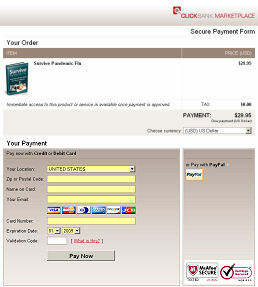 By ordering my book today, you take an important step toward helping your family to Survive Pandemic Flu. "No Questions Asked For A Full 60 Days"
If after reading Survive Pandemic Flu you still don't think my book lives up to the promise, or you are dissatisfied for any reason you can simply email me to request a prompt refund. Seriously. If you turn out to be one of the few for whom "Survive Pandemic Flu" just doesn't strike a cord, then I don't want your money. Of course, I have tried hard to over deliver on this product, and I think when it's in your hands you'll agree that I'm almost fanatical in my dedication to quality, because I know that's what it takes to make my customers happy. © Copyright 2009-2019, Random Mouse Software. All Rights Reserved.